I spent last night in one of my favorite places in Manila...that is Fully Booked in High Street, BGC. I have always been a voracious reader. Some of my fondest childhood memories include my weekly visit to the bookstore on Sundays to purchase the latest Sweet Valley or Christopher Pike paperback which I would devour in just one day. I was in second grade. Today, my reading materials have changed but my love for literature still burns strong. I cannot go by a single day without reading. Which is precisely why the Fully Booked RCBC Bankard Mastercard is perfect for me and you, if you share the same passion. Here are some photos from last night's event and several reasons why you should pick up the card yourself. The launch of RCBC's latest co-branded card with Fully Booked was launched in ultramobilia with fellow bookworm, Sarah Meier as host. Still gorgeous as ever. 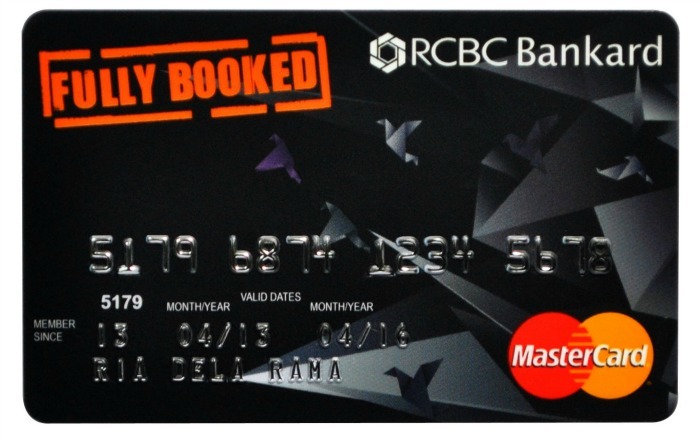 So yup, there's lots of reasons to pick up a Fully Booked RCBC Bankard. Application forms are available at Fully Booked branches. Or visit www.RCBCBankard.com for on-line application form.